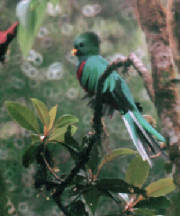 Have you seen a Resplendent Quetzal on the "Land of The Quetzal"? 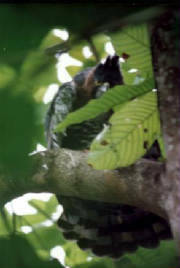 A Horned Guan? Or maybe a Pink-headed Warbler? A Bushy-crested Jay sounds interesting? How would you feel with a Cabanis' Tanager, a Black-capped Swallow, a Belted Flycatcher, a Black Penelopina or an Ocellated Turkey on your records? 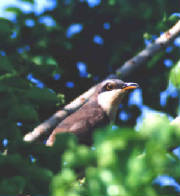 Any of the 7 species of Motmots that we have around the country would be a good reward for your senses? Birdwatching in Guatemala offers those who are getting introduced into this fascinating activity, and those who are experienced birders a very memorable Time. 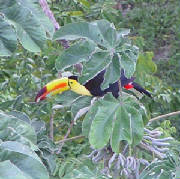 More than 700 species await to be spotted! Our Birdwatching programs are being operated on a private-departure basis; just you, your family and your friends together to enjoy all the birds our country has to offer. Photo By Jose Cruz V.
Guatemala is a very small and diverse country, which gives us the chance to cover the most important habitats avoiding long hours seated on a vehicle just by moving from one place to another. It is so easy as passing from a Dry to a Cloud Forest in less than 2 hours. Or descending from the Mountain Forest to the Mangroves, passing through the Highland Humid Subtropical Forest and the Tropical Humid Savannah in just one day. Of course, the Tropical Rain Forests and the Tropical Humid Forests are a must and here is where we will spot more birds in less time, since all the Amazonian influence can be enjoyed here. All this diversity is complimented with the cultural and archaeological richness that makes Guatemala the most interesting destination in Latin America. Below will you find some proposed itineraries, which will help you plan your next holiday. Just click on the bird's image to find a more detailed description, then send us your request! Pink-headed Warbler, Red-shafted Flicker, Whip-poor-will, Hairy Woodpecker, Steller's Jay Eastern Blue Bird, Emerald Toucanet, Penelopina Nigra, Bushy-crested Jay, Blue-throated Green Motmot, Long-tailed Manakin, Rufous and White Wren, Spotted Nightingale-Thrush, White-eared Ground-sparrow, Chestnut Capped Warbler, White-collared Seedeater, Wood Stork, White Bellied Chachalaca, Yellow-naped Parrot, Orange-chinned Parakeet, Roadside Hawk, Harris Hawk, Night Heron, Boat-billed Heron, five species of kingfishers, Peregrine Falcon, Snail Kite. Lesser Roadrunner, Streak-backed Oriole, Turquoise-browed & Russet-crowned Motmots, White Throated Magpie-Jay, Elegant Trogon, Plain-capped Starthroat, Varied Bunting, Brown Creeper, Spotted Woodcreeper, Resplendent Quetzal, Collared Trogon, Barred Parakeet, Hooded Grosbeak, Ocellated Turkey, Yucatan Bobwhite, Yucatan Poorwill, Buff-bellied Hummingbird, Yucatan Flycatcher, Yucatan Jay, Northern Cardinal, White-bellied Wren, Keel-billed Toucan, Collared Aracari Emerald Toucanet and Great Curassow.